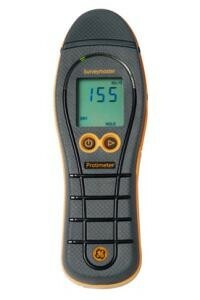 Protimeter moisture meters and hygrometers satisfy these requirements comprehensively. The Surveymaster Moisture Meter is the preferred industry choice for surveying and investigating moisture in buildings. Deep Wall Probes (5018) (with insulated stems & bare tips) can detect moisture levels up to 140 mm Length depth. Supplied in a Canvas (Velcro) Pouch.